Colonists led by Empressario Joseph Vehlein received Mexican land grants in this area in the late 1820s and 1830s. Growth, however, did not begin in earnest until after the Civil War when immigrants from the war torn states moved here to take advantage of the expanding cattle and cotton industries. 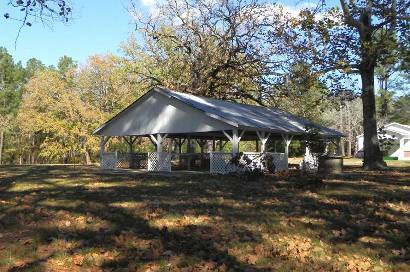 Residents of nearby Pleasant Grove and Shady Grove erected a brush arbor nearby in the 1880s which served as a church and school. 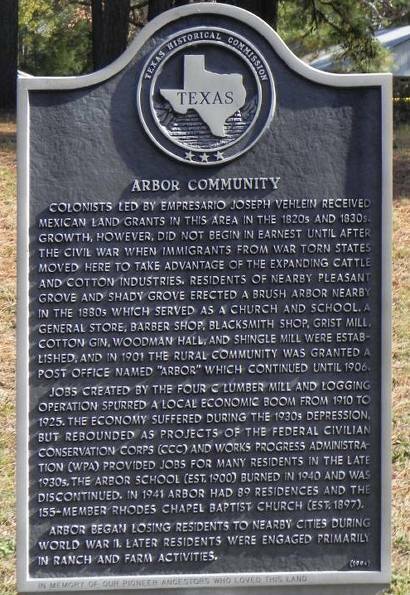 A general store, barber shop, blacksmith shop, grist mill, cotton gin, woodman hall, and shingle mill were established, and in 1901 the rural community was granted a post office named "Arbor" which continued until 1906. Jobs created by the Four C Lumber Mill and logging operation spurred a local economic boom from 1910 to 1925. The economy suffered during the 1930s depression, but rebounded as projects of the Federal Civilian Conservation Corps (CCC) and Works Progress Administration (WPA) provided jobs for many residents in the late 1930s. The Arbor School (est. 1900) burned in 1940 and was discontinued. 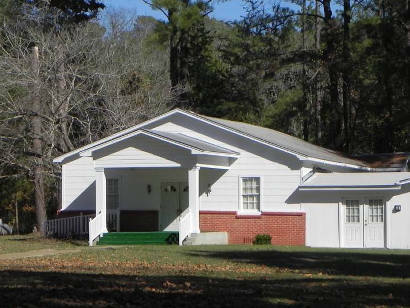 In 1941 Arbor had 89 residences and the 155-member Rhodes Chapel Baptist Church (est. 1897). 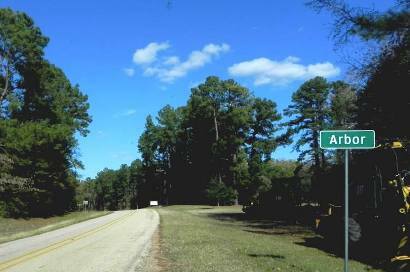 Arbor began losing residents to nearby cities during World War II. Later residents were engaged primarily in ranch and farm activities.